A manor house hotel with impressive eco-credentials and more than a dash of high-end glamour, this countryside cousin of The Dorchester is home to a superb spa. From the pool lined with stunning amethyst sculptures to the delightful "living roof" herb garden, this is eco-spa luxury at its finest. 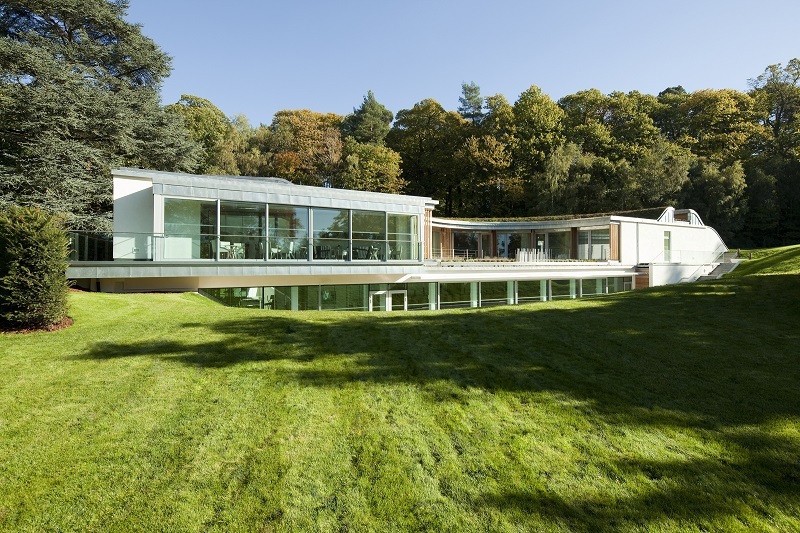 As well as delightfully glamorous and amusing interiors, Coworth Park also offers fabulous food in the restaurants and Spatisserie, and treatments that are both decadent and effective. The Spatisserie serves light meals and afternoon tea. In the hotel, Restaurant Coworth Park showcases a modern outlook on classical British dishes and a commitment to quality ingredients and depth of flavour, offered in a contemporary and elegant setting; The Barn serves delectable comfort food throughout the day. The rustic charm of The Barn includes a first floor bar with stunning views of the surrounding countryside. 70 rooms (including 16 suites) available, with 30 in the main mansion house and 40 in separate 'stables' and cottages.